Call it what you will: soda, cola, pop, carbonated soft drink…they all mean one thing to a dentist: tooth decay. As the dentist London, KY residents trust for their Preventative Dentistry and healthy smiles, trust us when we say skip the sugar. Studies on soft drinks show that the sugar in these beverages is the leading cause of damage to your tooth enamel, or tooth decay. Consuming a lot of sugar each day also leads to obesity and increase your risk of a type 2 diabetic diagnosis. Our London, KY dentist wants your smile to be great, so opt for healthy beverages when you’re thirsty. The sugar in soft drinks plays a nasty role when it meets the bacteria in your mouth. The interaction causes a chemical reaction that creates an acid that damages tooth enamel. Even worse, this reaction goes on for 20 minutes after every drink you take. Thus, if you sip on a soda throughout the day, the clock starts over after each drink. While our London, KY dentist would prefer you drink water, if you are going to have a soda, minimize prolonging your drink. Drink it up and be done. Then, of course, brush your teeth. The sugar-free sodas aren’t any better when it comes to your smile. There are acidic components in these drinks that also damage your tooth enamel. Our recommendation is to search for a healthy alternative so that you aren’t risking your gorgeous smile. Drink in moderation: limit your soft drink intake to one or two servings per week and brush your teeth after drinking. 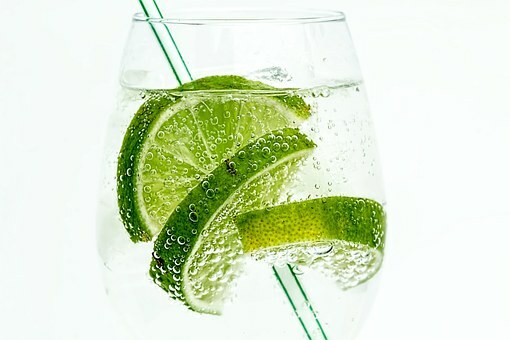 Try something new: Sparkling water flavored with a squeeze of lemon or lime is a great replacement for the sugary drinks. H20: Opt for water before reaching for the nearest soda machine. Water will keep you hydrated and stave off the desire for a soda. Rinse, brush, floss, and repeat: Remember to rinse your mouth and brush and floss after eating or drinking foods high in sugar. We know sodas aren’t the greatest choice for a healthy lifestyle, so look for alternatives when possible and keep your smile in the forefront of your mind. Talk to your family about a good oral hygiene routine including the importance of a professional dental exam with our London, KY dentist. Keep cavities from your smile by making healthy choices and by avoiding soft drinks. If you are interested in more oral health tips, we invite you to visit us on Facebook. You can also give our team a call should you have any questions.